Back when I was in college, I was an avid dumpster diver. I even met some of my best friends while scavenging through trash cans (+Tyler Talks Trash) and had a first kiss with a boyfriend during a dumpster dive run. It helped that I worked at Trader Joes, a company notorious for its rich dumpsters, so I always knew when there would be a good score. But there is one downfall to relying on dumpster-dove food: You end up with a lot of the same stuff. Namely, you always have a LOT of old bananas and stale bread. 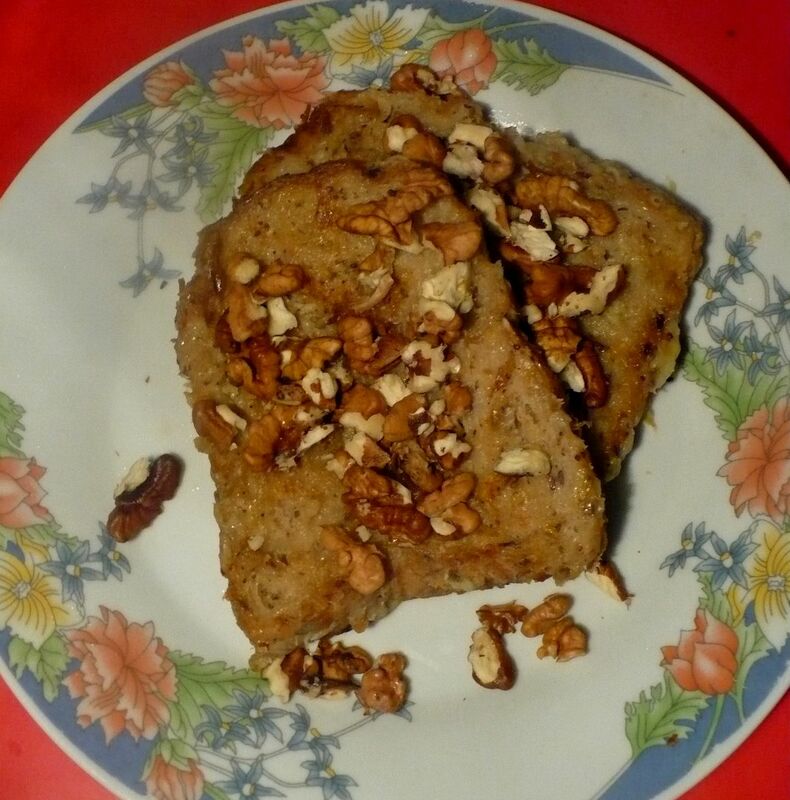 I am pretty creative with food though, so I invented this great recipe for vegan banana French toast. 2) Add soy milk to the banana mash and mix until it is creamy. 4) Put the stale bread slices into the banana mixture until they are soaked nearly through. 5) Heat some oil (or veggie butter) and fry the bread slices until browned, flipping once. Make sure that you coat the pan well or the banana might stick to the pan! For a really sweet treat, you can top these with maple syrup, agave nectar, berries, or peanut butter.